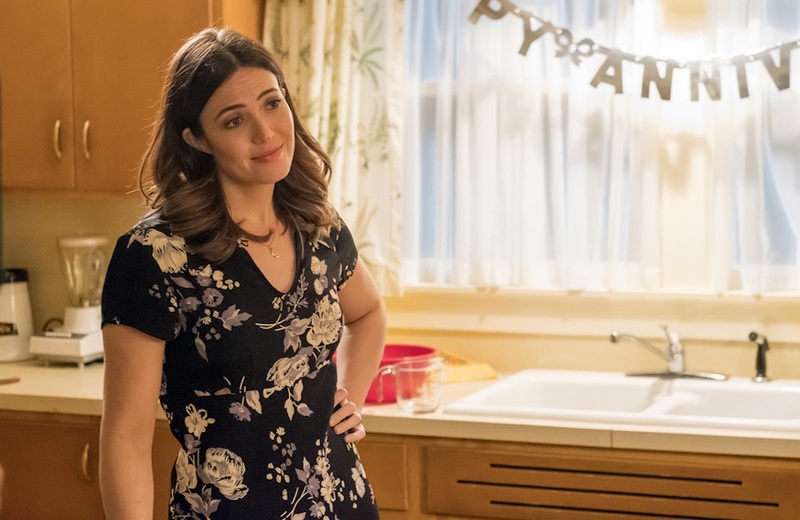 Having incredible coworkers can make or break a job, so it’s no wonder the cast of This Is Us all seem so happy all the time — not only are they killing it in the ratings department, but they enjoy tight-knit relationships on- and off-set. Exhibit A? Mandy Moore, who plays matriarch Rebecca Pearson, just confirmed to People that the This Is Us cast has an active group text thread going. Chatting with People about the show’s recent award show appearances (and wins! ), Moore touched on how the cast relationships have changed now that they have a few seasons under their belt. “There’s no substitute for time. We’re all super-close. We’ve all been through these, like, milestone moments together now. We’ve celebrated going to these award shows and people loving the show and we were at the Super Bowl last year. All these crazy things this journey that we’ve been on together — you just feel closer,” she explained. When asked whether the cast relishes their time apart when not filming, Moore revealed they actually can’t get enough of each other — so much so, they’ve created a way to stay in constant contact. On Tuesday, E! News dedicated a piece to the impressive bond between the stars of This Is Us, chronicling their near-encyclopedic knowledge of each other.